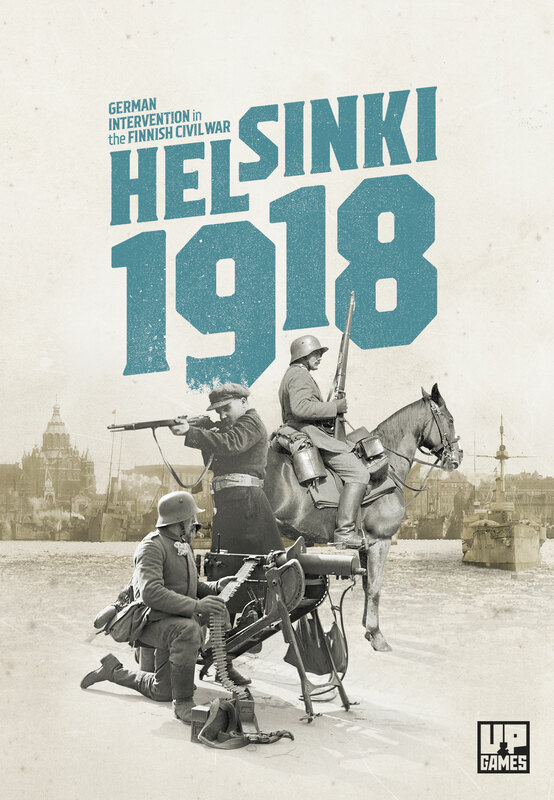 A few months after Finland made its Declaration of Independence from Russian rule at December of 1917 a civil war broke out between Finnish Reds and Whites. The paramilitary Red Guards formed by the worker class took control of Helsinki on the 27th of January 1918. The Senate fled from Helsinki and declared the White guards as their official troops. On the 3rd of April 1918 the German Baltic Sea Division landed in southern Finland. By the 11th of April they had reached the outskirts of Helsinki and their commander Rüdiger von der Goltz launched an attack to conquer Helsinki. The Russian Navy had a significant naval base and fortifications in Helsinki, but respecting the Treaty of Brest-Litovsk they left Helsinki and did not take part in the battle. The Red Guards made a hasty decision not to surrender but to defend Helsinki. The White Guards had built their own underground paramilitary organization and were waiting for the right moment to take control of the centre. 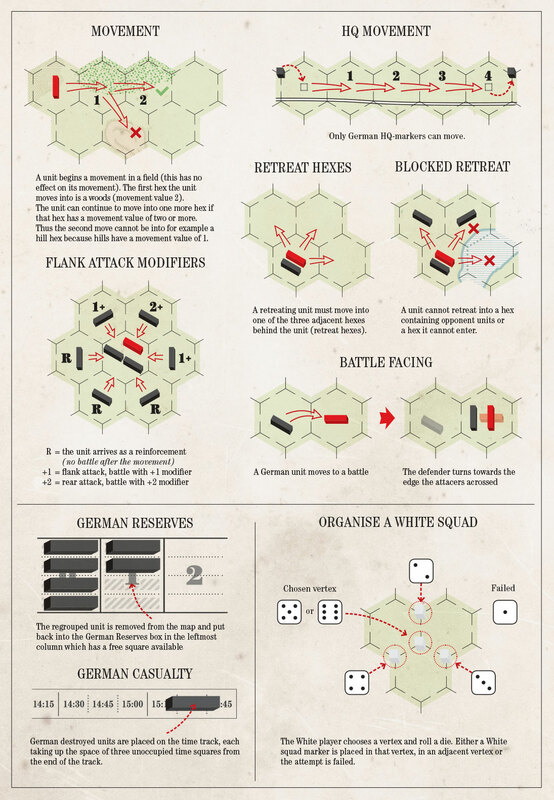 The German player must execute a well-planned advance to defeat the Reds and avoid high casualties especially in skirmishes on the streets of the centre. The Red player’s focus is to maintain a high fighting spirit and recruit new groups to reinforce the defence. Meanwhile the White player must wait for the right opportunity to deploy their hidden troops onto the streets of Helsinki. 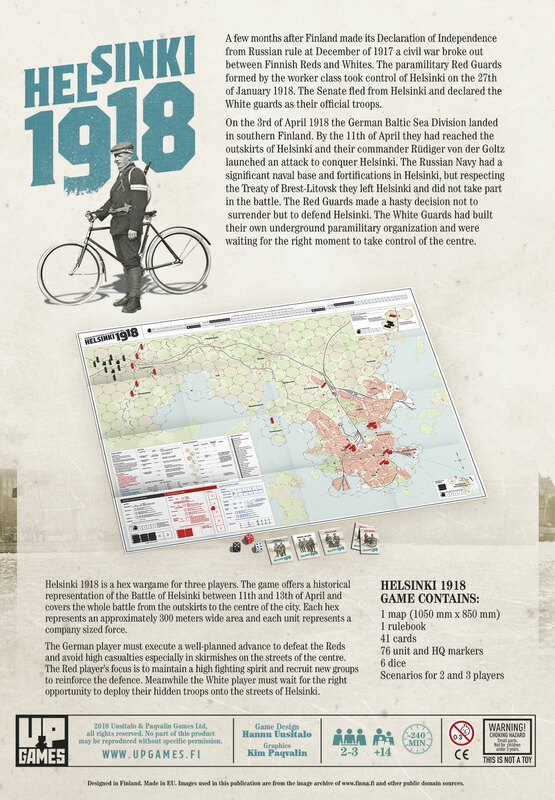 You can make an order for Helsinki 1918 game by filling the order form below. After the printing is ready we will contact you and send an invoice. Before you make your order we recommend you to read the designer’s comments to understand what you are ordering. Also read our terms and conditions. * your custom might charge import tax.